Working from home is a blessing and a curse. On one hand, you have zero commute time. You can technically wear your pajamas all day if you want! (Except I’ve realized I’m more productive when I shower and get ready for the day.) You don’t have to pack a lunch or remember your coffee for the drive in. On the other hand, there are so many distractions. You throw a load of laundry in before sitting down to work but then get distracted by the buzzer to switch it to the dryer. You go into the kitchen to pour some more coffee and realize the dishwasher should be unloaded. You need lunch and find no food in the fridge! There are so many things to throw you off your game. One thing it has taught me is how to be more productive. Productivity is especially key when you work for yourself but these practices are useful no matter if you are an entrepreneur, a stay at home mom or work outside the home. So here are some tips for working from home that you can apply today! 1. Make a to do list with ONLY things that you MUST get done that day. If it can wait until tomorrow or next week, don’t add it to your list. This is something I’ve learned from Charlene Johnson’s 30 Day Push challenge. I make my to do list every morning when I am drinking my first cup of coffee. I keep it on my phone so I have it with me whether I’m running errands, working at Starbucks or in my office. My list always has 2 things related to my long term business goal and anything personal that needed to get done. (Things like make a dr appointment, mow the lawn, etc). But the only things on my list are things that MUST get done today. 2. 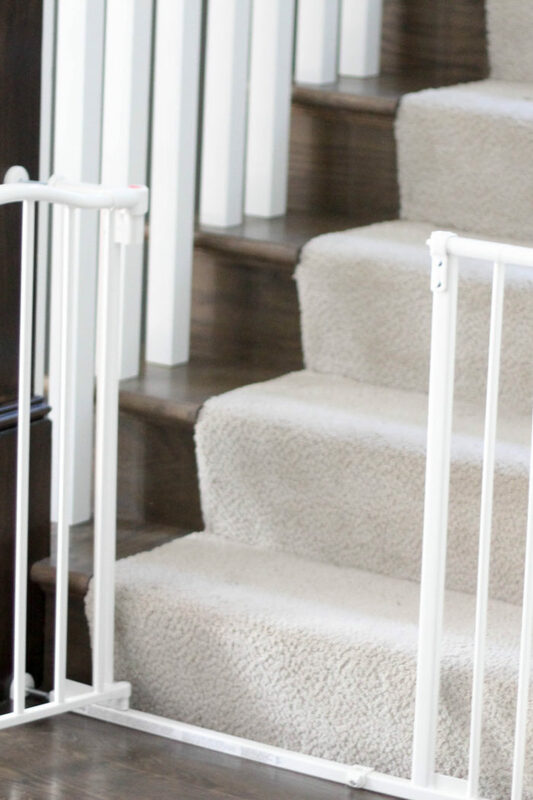 Keep your phone in another room (or in a desk drawer/purse/etc). I turn my ringer off and put it in the kitchen while I’m working. This prevents me from checking Instagram/Facebook/etc. If something is out of sight, it’s out of mind. I’ll check my phone when I get more water (which helps me stay extra hydrated!) or when I finish something on my to do list and I need to check it off my list. 3. Meal plan both lunch and dinner. This one I need to work on! My sister keeps a google calendar strictly for meal planning all of her dinners that includes a link to the recipe (if it’s online and/or she needs a recipe for it). I’m lucky if I plan out what we’re eating the next day and tend to scramble at the last second trying to figure out what to make for dinner that day. When you know exactly what is happening for dinner you won’t waste valuable time trying to find recipes or running to the grocery store every day for food. Freezer meals work wonders when you work from home! Same thing goes for lunch! The beauty about working from home is you have your entire kitchen at your fingertips. But when you have no idea what you’re going to eat, you cut into precious work time trying to figure it out. So there we have it! 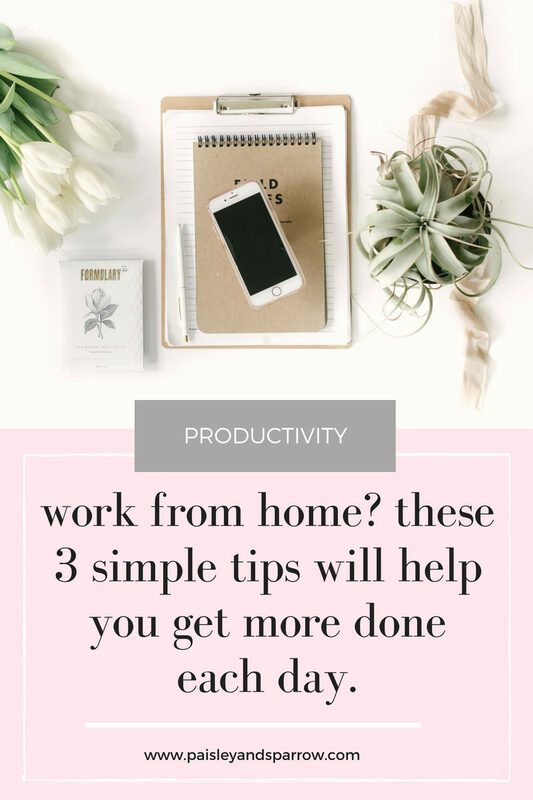 Three working from home tips to help you be more productive when working from home each and every day. Pick one to work on this week and add one the next week until you’re doing all three! What’s something I missed that you find to be super helpful in being productive? I’d love to know! Leave a comment below. 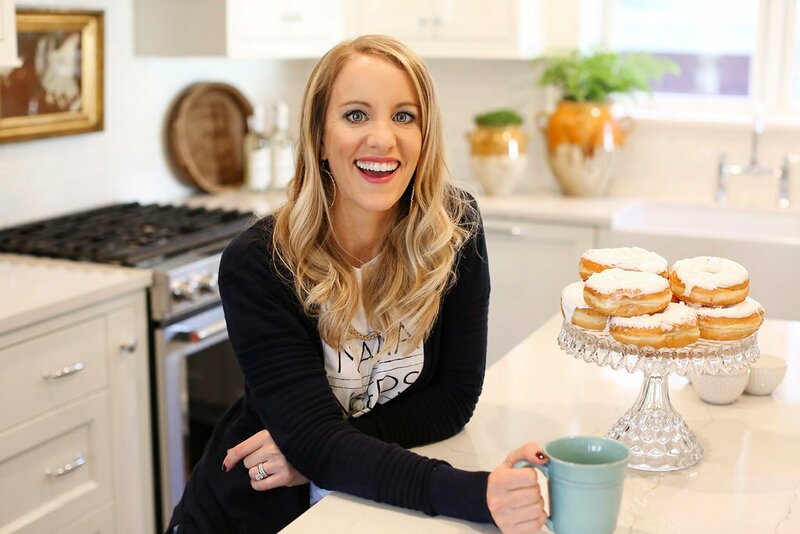 Be sure to check out my 5 Tips for Influencer Marketing for Small Businesses post!